Jinx? 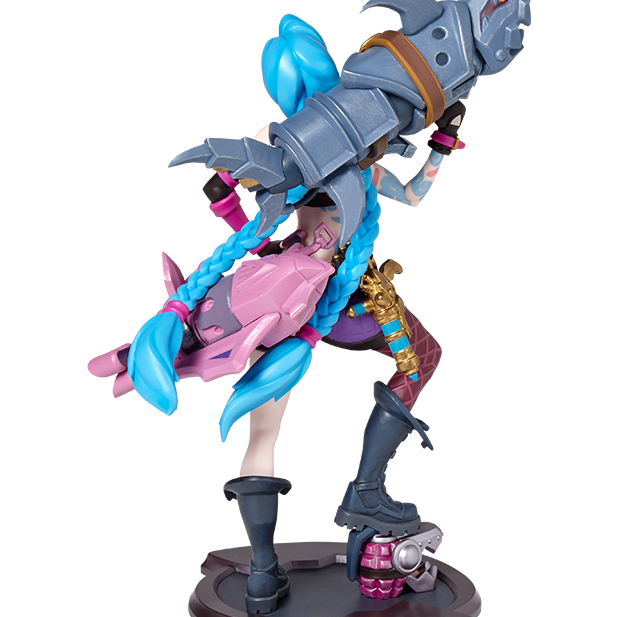 Stands for Jinx! Durr. 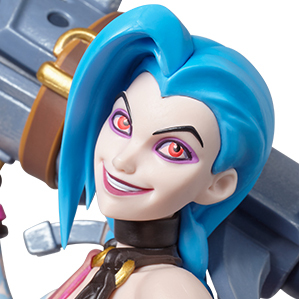 No matter where you are on Summoner's Rift, Jinx will come chase you down as she introduces herself as #07 in the Unlocked statue line. Jinx made her first appearance on Roguery Night, a barely tolerated annual tradition where youthful girls and boys throughout Piltover play practical jokes on their family and neighbors. Jinx hijacked the occasion to unleash the first of many crime sprees; bridges were blocked with stampeding livestock freed from Count Mei’s menagerie, scores of roads were shut down by explosions that made them impassable, and every street sign in the city was moved and placed somewhere new. 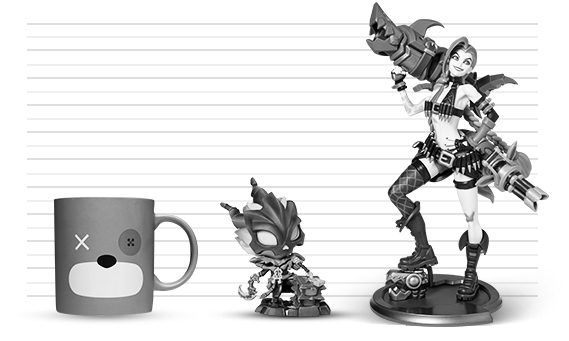 Jinx had succeeded in spreading chaos throughout the streets and bringing the city to a halt. It had been a good day. 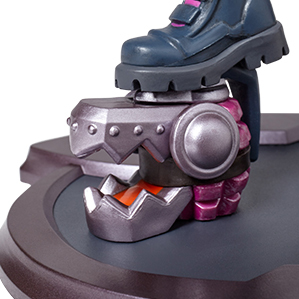 Runeterra is her playground; Piltover her favorite toy. With a grin on her face, Jinx stood triumphantly in the face of any would-be enforcers and boring hat-ladies that dare chase her.